Cincinnati's King Records was a major player in the music business for years. The label produced hit songs by chart-topping artists, but now, the stories behind the music are being told as plays at Cincinnati Playhouse in the Park. CINCINNATI -- Cincinnati's King Records was a major player in the music business for years. 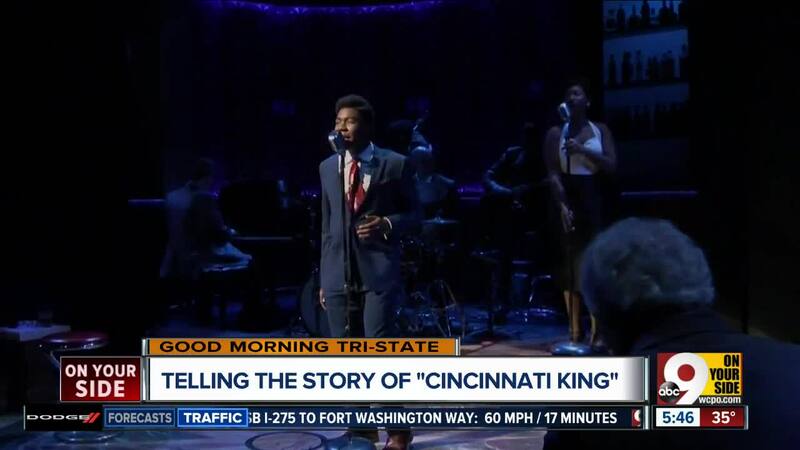 The label produced hit songs by chart-topping artists, but now, the stories behind the music are being told as plays at Cincinnati Playhouse in the Park . "It had to have the actual music in it to tell the King story properly," Artistic Director Blake Robinson said.
" Cincinnati King " tells the story of the label started by Syd Nathan in 1943, which featured country and rhythm and blues acts. "In some respects, King Records is the story of how difficult it was to get along with Syd," Robinson said. The play doesn't tell the entire history of King, but is narrated by an actor portraying drummer Philip Paul who shared his memories with writer/director, KJ Sanchez. "Telling us all the stories that he remembers," Robinson said. "Telling us about musicians who aren't with us anymore." One of the King Records artists featured in the show is Little Willie John, who was the first person to record the hit song, "Fever." It turned out to be a No. 1 hit for the label. James Brown was another star, but will audiences get to see the "Godfather of Soul" in the play? "There might be," Robinson said. "I shouldn't say. You're going to have to come see the show." The run of Cincinnati King just happens to coincide with the 75th anniversary of King Records and efforts to preserve its former location in Evanston. The show at Playhouse in the Park runs through December 23.